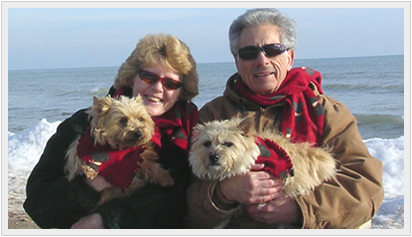 This photograph shows our Attorneys (Irv Weiner and Pam Burt). I am holding Bill Bailey, our male Cairn Terrier. Pam is holding Queen Cayla-La, our female Cairn Terrier. Lake Huron is in the background.